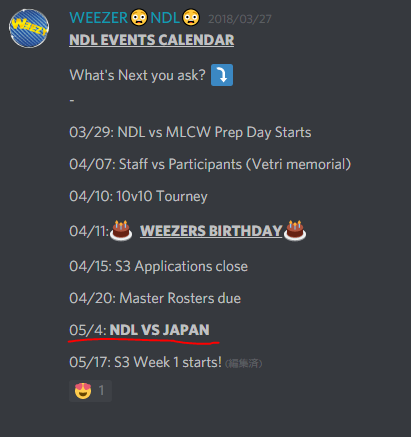 NDL ALLSTARS vs JWC ALLSTARS is coming on beginning of May!! Im here to inform you all that JWC’s TOP ranker is going 50 v 50 against the best from NDL. **The detail time and date is still being adjusted. You know how you do a normal spin and sometimes go against a really really really good clan? well NDL is made up with these really good clans and the ALLSTARS is made up from the TOP players of these really really really good clans. Lets now forget JWC11 also made up with people waring in TH11 only clans their one of the BEST from Japan. JWC after each season would gather the Allstars from each clan and do the 50v50 but that was beginning to feel worn out. Yes JWC is the considered to be the top league in Japan but this is only to decide the best in our country. a group that stops challenging will only go down hill. we need to challenge! we need a Bigger challenge! A bigger mountain to climb! what better to challenge the best in the world!! These guys have the will and the skill, so like that I decided to contact NDL admin. Their at the TOP of the world, I had to start by explaining that we’re a TH11 only league and want a chance against NDL 11’s and how we’re all fair play and of course that our roster will be made up with JP ALLSTARS. well since there is a time diff we’re still in the works. around may 4th I think. And about the roster, the roster will be made up using 3stars percentage from JWC11 season3. But people from season 1-3 will also be considered from there attack percentage considering a lot of things. 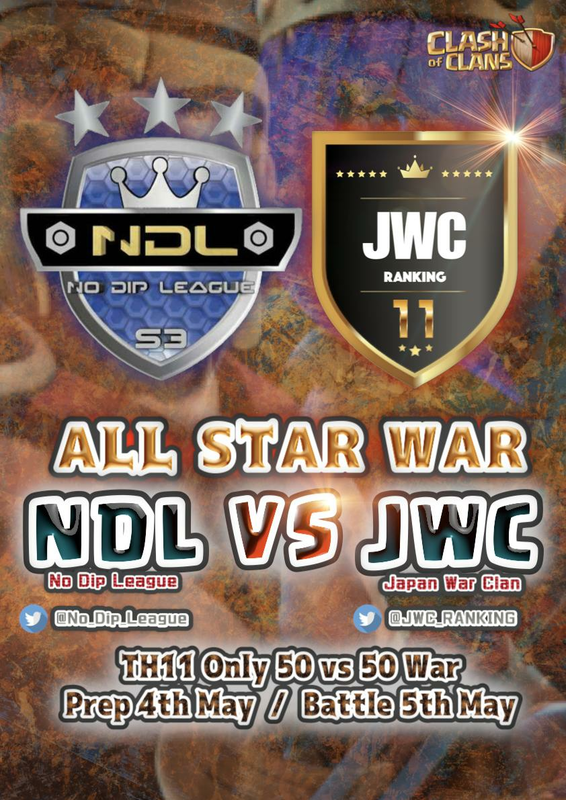 We are asking COC official to promote this NDL ALLSTARS vs JWC ALLSTARS inside the game as well. As the founder of JWC Im very happy to make this happen in front of millions of players, but more than that I want a victory over the best of the world with these members THE JWC ALLSTARS. **This article is translated by @kir_coc on twitter. Copyright © クラクラ 駆け出しリーダーの奮闘記 All Rights Reserved.